The TIN Rocket Award recognises the company that has gained the most places in the TIN200 rankings for the year. 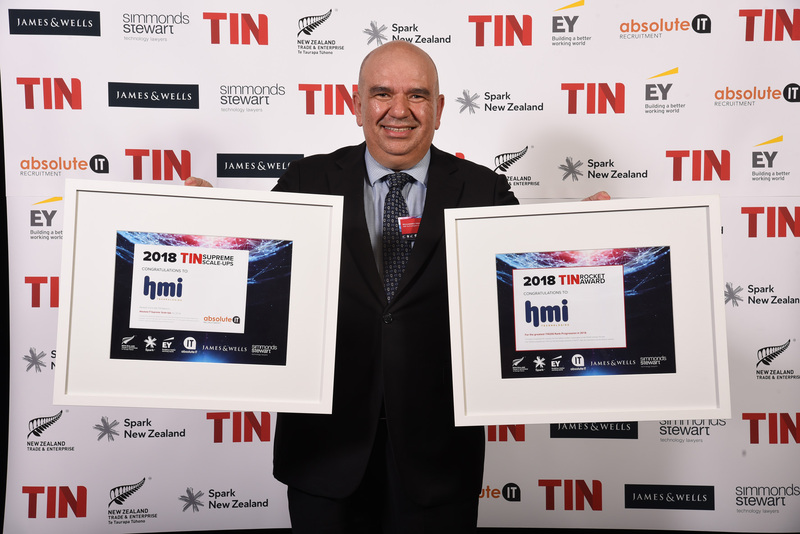 HMI Technologies, the second recipient of the annual TIN Rocket Award, climbed 44 places in the TIN200 ranks. The firm designs and builds custom Intelligence Transportation Systems, including variable signage and autonomous vehicles. In the past year, it has secured a US$20 million joint venture with the City of Heshan in China to distribute its Ohmio electric shuttles. This deal contributed to the firm’s improved growth of $6.5 million in FY2018, the highest of any Next100 company. As a result, HMI Technologies also joined the Absolute IT Supreme Scale-Ups awards list in second place this year.